Route 1 - in Lincoln // 10:00am - 1:30pm // 12.5 mile route. 6 stops. Route is a self-driving route. Route 2 - in Omaha // 3:30pm - 6:30pm // 5 mile route. 5 stops. Route is available for cyclists and self-driving. Route 3 - in Omaha // 9:30am - 1:15pm // 5 mile route. 6 stops. Route is available for skilled cyclists and self-driving. Route 4 - in Omaha // 10:30am - 1:30pm // 7.25 mile route. 5 stops. Route is a self-driving route. 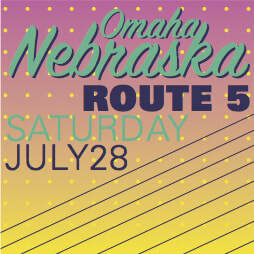 Route 5 - in Omaha // 12:30pm - 4:00pm // 6.25 mile route. 6 stops. Route is a self-driving route. Route 6 - in Lincoln // 1:00pm - 3:55pm // 3.5 mile route. 5 stops. Route is available for cyclists and self-driving. Omaha Coffee posters will be available at $10 for ticket holders. Stay tuned. ​Routes 3 and 4 are sold out. 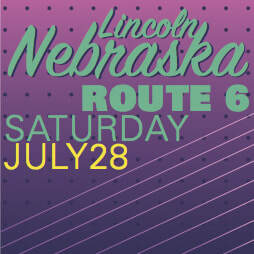 This route 6 visits 5 stops in Lincoln on a 3.5-mile Saturday course. This route begins at The Mill Coffee & Tea (800 P St #100, Lincoln, NE 68508​) at 1:00pm, sharp! Other stops include Crescent Moon Coffee, The Coffee House, Method Cycles & Craft House, and concludes at The Bay. This route ends at 3:55pm. This route isavailable for those who wish to bike the route, or drive.